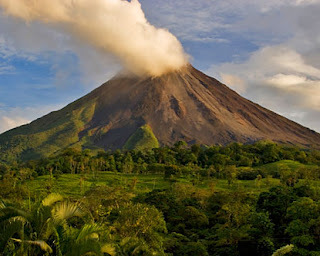 In light of Iceland’s volcano grounding UK flights, we thought it would be appropriate to remind everyone of 1816, the year that England, and much of the rest of the world, experienced the “Year Without a Summer,” which was caused by the 1815 eruption of Mount Tambora in Indonesia. You can read about it here, here and here. 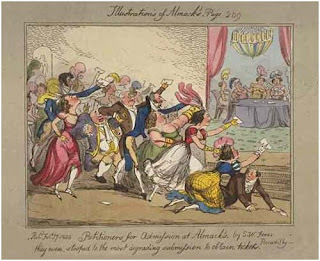 Victoria and I can only hope that the ash clears up by June to allow us to reach England as scheduled, and that it does not extend into the summer – quelle horror! 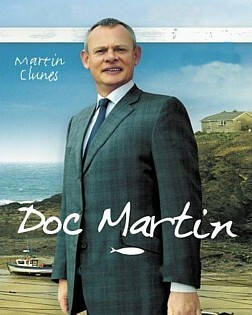 Do You Know About Doc Martin? In Doc Martin, Martin Clunes plays the town of Portwenn’s local GP, Martin Ellingham, who was once a brilliant and highly successful London surgeon until he developed a phobia of blood that prevented him conducting operations. After retraining as a GP, he applied for a post in the sleepy Cornish village of Portwenn, where he had spent childhood holidays. Much of the show’s humour revolves around Ellingham’s clumsy interactions with the local villagers. Despite his surgical brilliance, Ellingham lacks vital personal skills and any semblance of a bedside manner and is often clueless as to the feelings of others. 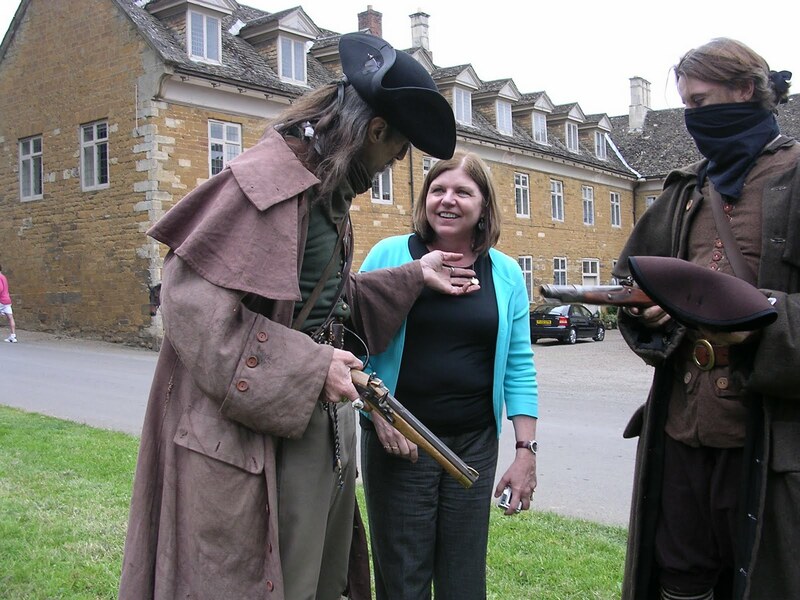 Much to his disgust, Dr Ellingham (referred arrives in town to find a surgery is in disarray, the medical equipment atniquated and the patients’ records a mess. He also inherits an incompetent receptionist, Elaine Denham, who would rather spend her day at work playing gambling games on the office computer. The community is united in horror at their “misery guts” of a new GP. 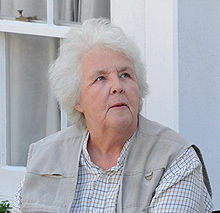 Martin is joined by a cast which includes the perennially favorite actress Stephanie Cole as his aunt, Joan Norton, who provides him with emotional support in the face of the disquiet among the villagers. Caroline Catz plays opinionated primary school teacher (later headmistress) Louisa Glasson. Doc Martin is attracted to her, but finds himself unable to express this. Louisa appears to share this mutual attraction, but finds their personalities often too different, while she is caring and nurturing, Martin is emotionally detached and at times neurotic. 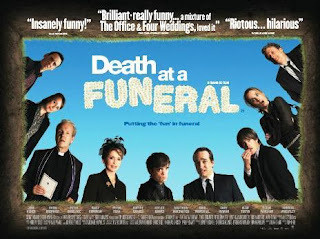 While much of the above might not sound like the ideal premise for a comedic television show, I assure you that it works splendidly – viewing numbers peaked at 9 million for the last series. Doc Martin is addictive. And ITV announced that Martin Clunes has reprised his role as the curmudgeonly GP in a new eight-part drama series that was filmed in Cornwall by Buffalo Pictures last Spring. So, prepare for these new episodes by watching the old – available via Netflix, Blockbuster and some local libraries. Or, you can watch previous episodes here. Author Kristine HughesPosted on April 18, 2010 Categories Do You Know About?, Uncategorized5 Comments on Do You Know About Doc Martin? 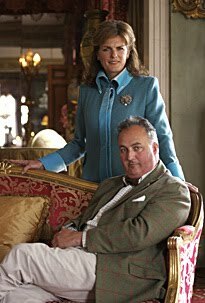 His Grace the 11th Duke of Rutland and his lovely Duchess have celebrated the 500th anniversary of the Manners family at Belvoir Castle (pronounced Bee-ver). In 1509, Sir Robert Manners married Eleanor de Ros, heiress of the property, and from that time forward, it has been passed down through the Manners family. 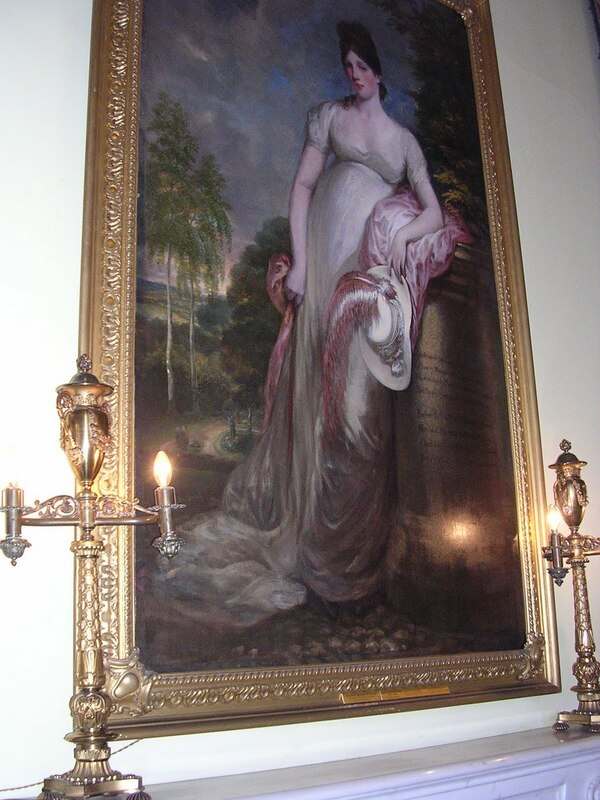 Another heiress, Dorothy Vernon, also married into the Manners family and brought her inheritance of Haddon Hall along with her. See my previous post on Haddon Hall on this blog April 8, 2010. 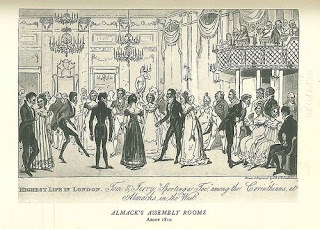 The property was already ancient when the Manners arrived. 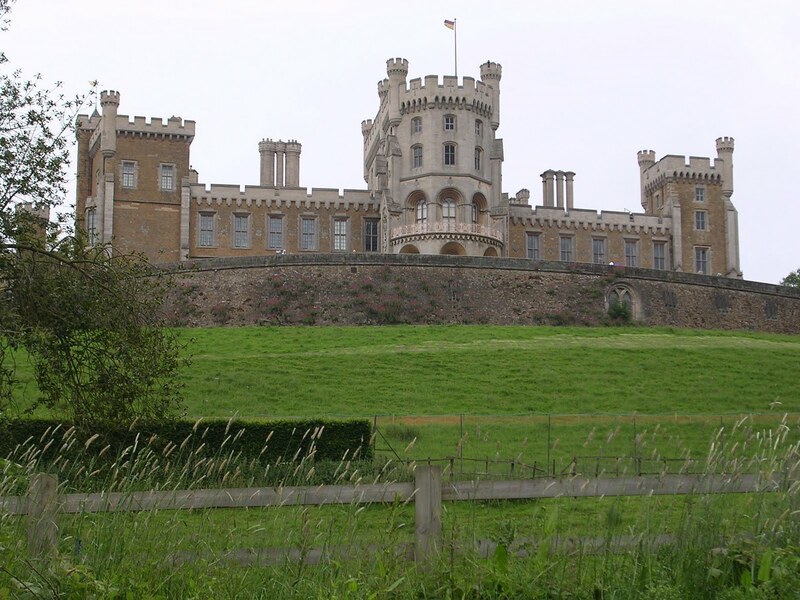 The first castle, almost a thousand years ago, was built overlooking the Vale of Belvoir after the Norman Conquest by Robert de Todeni, standard bearer for William the Conqueror at the Battle of Hastings in 1066. The present castle, remodeled and rebuilt beginning in 1799, is the fourth to stand here. 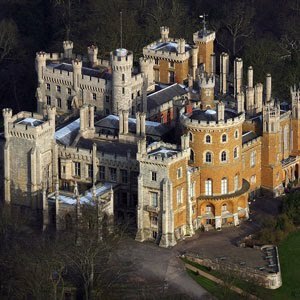 Designed in the popular Regency-era style of Gothick Revival, Belvoir has turrets, towers and battlements that serve no purpose beyond decoration. I visited a few years ago with Kristine Hughes, and several good friends who love the Regency era. Upon our approach, we were accosted by a pair of highwaymen who abducted Kristine’s daughter, Brooke, and writer Diane Gaston, captured in the pictures. 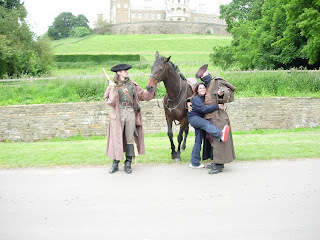 How we pleaded and offered our treasures to the miscreants before they relented and posed for pictures with all of us. 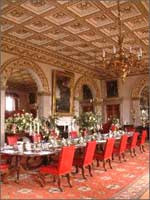 If you want to be treated to such an interlude, the castle can make the arrangements. Upon entry, one is confronted with the gateroom, a vast collection of spears, swords, muskets, hatchets, shields, and armor. Very impressive. 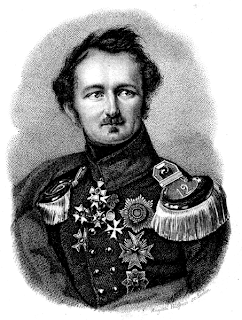 of the Guard Room. See more of his work here. 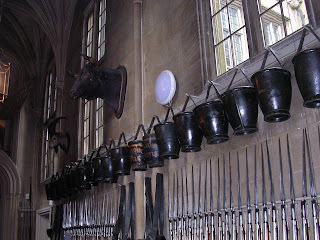 In one of the hallways, there is a long row of leather buckets, for use in putting out fires. The Bucket Brigade. 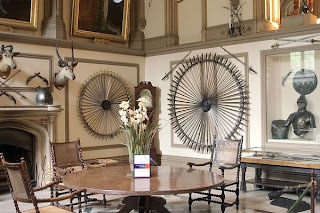 The castle houses priceless collections of artwork and decorative objects. 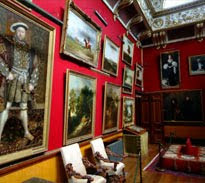 Among my favorites are the magnificent family portraits by Gainsborough, Reynolds and Lawrence. 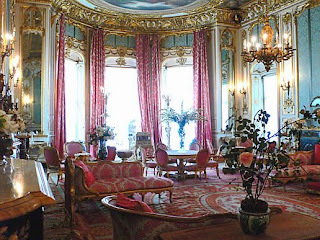 Many of the rooms are splendid beyond belief, the very height of Regency elegance. 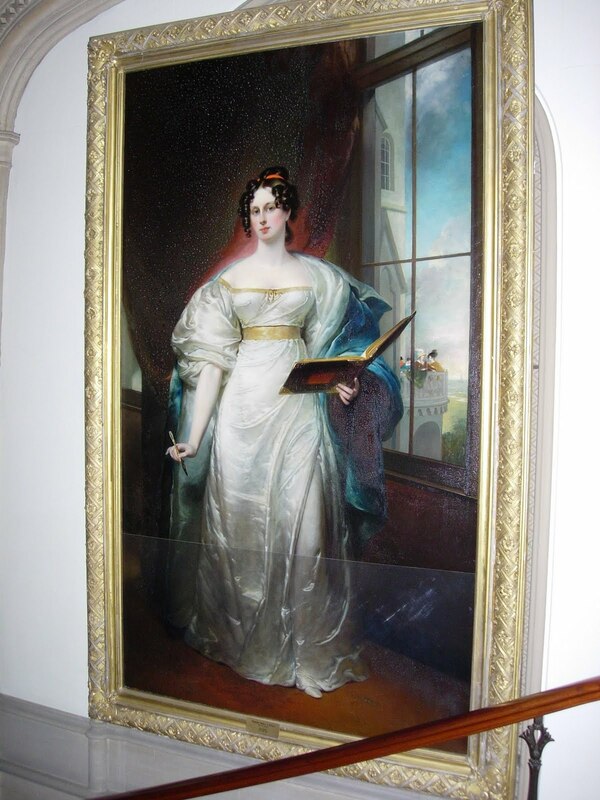 In fact, scenes in The Young Victoria were filmed here, as a stand-in for Buckingham Palace or Windsor Castle. 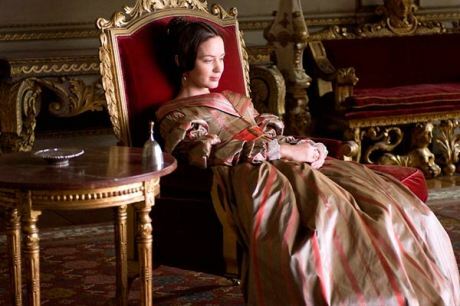 I suspect this still of Emily Blunt as The Young Victoria was shot at Belvoir. 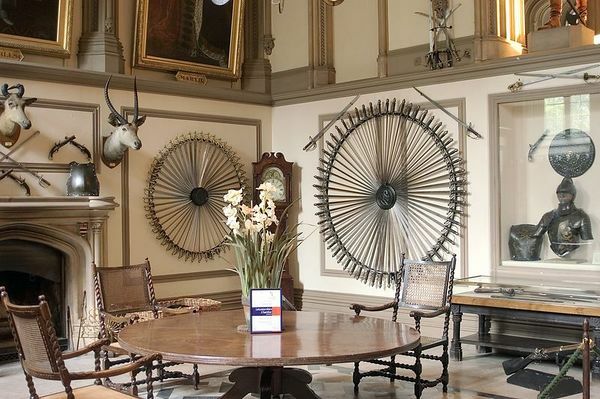 Take a virtual tour of Belvoir here. Since my words cannot adequately describe the castle, here are a few more lovely pictures for you. To me, this is eye candy indeed. Let’s all wish the Manners family another 500 years at Belvoir Castle. The new Chris Rock remake of Death at a Funeral was released this week. It changes the British original to the U.S. with a mostly African-American cast. I’m sure it will be hilarious. 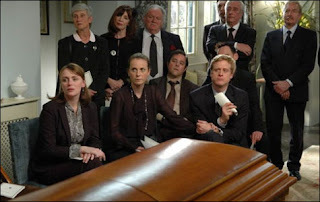 But if you haven’t seen the original Death at a Funeral, out just three years ago in 2007, be sure to get a copy from Netflix or rent one or from cable on-demand. It is so funny you will need to watch it several times to get all the lines. I always caution my friends to see it on DVD and turn on the English subtitles just so you don’t miss the many funny asides. I have seen it at least four times and I got a new angle every time. The story mixes mistaken identities, sibling rivalry (a wannabe writer vs. his best-selling brother), accidental drug problems, and the deepest of family secrets.